I’ve always enjoyed George Bernard Shaw’s writing. He was a man who made a great deal of sense to me. I started reading his books in my early teenage years and many of the ideas in them have stuck. Shaw was a true Renaissance man - an Irish playwright and author, a Nobel Prize and Academy Award winner (how many can claim that double?) and a co-founder of the London School of Economics. Shaw had a particular interest in education; from the way the state educates its children, where he argued that the education of the child must not be in “the child prisons which we call schools, and which William Morris called boy farms”; to the way in which education could move from teachers “preventing pupils from thinking otherwise than as the Government dictates” to a world where teachers should “induce them to think a little for themselves”. At 91 Shaw joined the British Interplanetary Society whose chairman at the time was Arthur C Clark (some interesting conversations there, I’m sure). In the statement about his tailor Shaw was simply making the point that change is a continuous process and part of life, and that we constantly need to recalibrate if we’re to gain an understanding of what’s really happening. If we do this we are more likely to have a better grasp of things and make the adjustments and appropriate responses needed. It’s the sensible approach. I recently came across Shaw’s quote about sensibility and his tailor again in Joseph Raelin’s book ‘Work-Based Learning: Bridging Knowledge and Action in the Workplace’. Raelin’s work is something every L&D professional should read. The quote started me thinking about the ways we measure learning and development in our organisations. I wonder what Shaw would think if he saw the way learning and development is predominantly measured in organisations today. The most widely used measures for ‘learning’ are based on activity, not on outcomes. We measure how many people have attended a class or completed an eLearning module, or read a document or engaged in a job swap or in a coaching relationship. Sometimes we measure achievement rates in completing a test or certification examination and call these ‘learning measures’. The activity measures determine input, not output. The ‘learning’ measures usually determine short-term memory retention, not learning. I am sure that Shaw would have determined we need to do better. Even with today’s interest in the xAPI/TinCan protocol the predominant focus is still on measuring activity. It may be helpful to know that (noun, verb, object) ‘Charles did this’ as xAPI specifies. However extrapolating the context and outcomes to make any sense of this type of data requires a series of further steps that are orders of magnitude along the path to providing meaningful insight. In many cases the activity measures simply serve to muddy the water rather than to reveal insights. Attending a course or completing an eLearning module tells us little apart from the fact that some activity occurred. The same applies to taking part in a difficult workplace task or participating in a team activity. Activity measurement does have some limited use. For instance when a regulatory body has defined an activity as a legal or mandatory necessity and requires organisations to report on those activities. these reports may help to keep a CEO out of the courts or jail. But this type of measurement is starting from the ‘wrong end’. A ‘learning activity is not necessarily an indicator of learning’ tag should be attached to every piece of this data. There’s plenty of evidence beyond the anecdotal to support the fact that formal learning activity is not a good indicator of behaviour change (‘real learning’). For example a study of 829 companies over 31 years showed diversity training had "no positive effects in the average workplace." The study reported that mandatory training sometimes has a positive effect, but overall has a negative effect. For further evidence as to the fact that training activity does not necessarily lead to learning (changed behaviour) we need look no further than the financial services industry. Did global financial services companies carry out regulatory and compliance training prior to 2008? Of course they did – bucketsful of it. Did this training activity lead to compliant behaviour. Apparently not. It could be argued that without the training things could have been worse. However, there’s no easy way to know that. The results of banking behaviour and lack of compliance were bad enough to suggest the training had little impact. I suppose we could analyse, for example, the amount of time and budget spent per employee on regulatory and compliance training by individual global banks and assess this against the fines levied against them. I doubt that there would be an inverse correlation. The ATD’s ‘State of the Industry’ report, which is published around this time of the year on an annual basis, is a case-in-point of the industry that has grown up around measuring ‘learning’ activity. ATD has been producing this annual report for years (originally as the ASTD). The data presented in the ATD annual ‘State of the Industry’ report is essentially based around activity and input measurement – the annual spend on employee development, learning hours used per employee, expenditure on training as a percentage of payroll or profit or revenue, number of employees per L&D staff member and so on. Some of these data points may be useful to help improve the efficient running of L&D departments and therefore of value to HR and L&D leaders, but many of the metrics and data are simply ‘noise’. They certainly should not be presented to senior executives as evidence of effectiveness of the L&D function. To take an example from the ATD data, the annual report itemises ‘hours per year on ‘learning’ (which means ‘hours per year on training). The implicit assumption is that the more that are hours provided, the better and more focused the organisation is on developing its workforce. But is it better for employees in an organisation be spending 49 hours per year on ‘learning’ than, say, 30 hours per year? These are figures from the 2014 ATD report. Even if one puts aside the fact that as a species we are learning much of the time as part of our work and not just when we engage in organisationally designed activities that have a specific ‘learning’ tag, this is an important point worth considering. It could be argued that organisations with the higher figure – 49 hours per year – are more focused on developing their people. It could equally be argued that these organisations are less efficient at developing their people and simply take longer to achieve the same results. It could be further argued that the organisations spending more time training their people in trackable ‘learning’ events are simply worse at recruitment, hiring people who need more training than the ‘smart’ organisations that hire people with the skills and capabilities needed who don’t need much further training. We could dig further and ask whether spending 49 hours rather than 30 hours is indicative of poor selection of training ‘channel’ – that organisations with the higher number are simply using less efficient channels (classroom, workshop etc.) than others who may have integrated training activities more closely with the workflow (eLearning, ‘brown bag lunches’, on-the-job coaching etc.). Even further, is the organisation with the 49 hours per year simply stuck in the industrial age and using formal training as the only approach to attack the issue of building high performance – when it could (and should) be using an entire kitbag of informal, social, workplace and other approaches as well? One could go on applying equally valid hypotheses to this data.The point is that activity data provides few if any insights into the effectiveness of learning and provides only limited insight into the efficiency of learning activities. So why is there an obsession to gather this data? Maybe we gather it because it is relatively easy to do so. Maybe we gather it because the ‘traditional’ measurement models – based on time-and-motion efficiency measures – are deeply embedded. These time-honoured metrics developed for an industrial age are not the answer. We need to use new approaches based on outcomes, not inputs. The real challenge for measuring learning and development is that performance improvement often comes about in ‘messy’ ways. Sometimes we attend a structured course and learn something new and then apply it our jobs. At other times we attend a structured course and meet another attendee who we then add to our LinkedIn connections. At some later point we contact this LinkedIn connection to help solve a problem – because we remember they told an interesting story about overcoming a similar situation in their organisation or part of our organisation. This second case falls into the ‘messy’ basket. It is almost impossible to track and ‘formalise’ this type of learning through data models such as xAPI – unless we’re living with the unrealistic expectation that people will document everything they do at every moment in time or that we track every interaction and are able to draw meaningful inferences. Even national security agencies struggle doing that. More frequently than learning in structured events we learn through facing challenges as part of our daily workflow, solving the problems in some way, and storing the knowledge about the successful solution for future use. We also increasingly learn and improve through our interaction with others – our peers, our team, our wider networks or people we may not even know. So how do we effectively measure this learning and development? Is it even worthwhile measuring? I believe the answer to the second question is ‘Yes, when we can gain actionable insight’. It is worthwhile measuring individual, team and organisational learning and development to understand how we are adapting to change, innovating, improving our customer service, reducing our errors and so on. This type of measurement needs to be part of designed performance improvement initiatives. Furthermore, measuring learning frequently via performance improvement is better than measuring it infrequently. One of the challenges the annual performance review process has come under recently is that the insights (and data) collected as part of the process is too infrequent. Companies like Adobe have already abolished annual performance reviews and replaced them with regular manager-report informal check-ins to review performance progress and any corrections needed. Fishbowl, a Utah-based technology company, has gone a step further and not only abolished annual performance reviews but also abolished its managers. Companies such as W.L.Gore have been treading this path for some time. It is clear that the annual performance review, a metrics approach based on ling (long) cycle times and relatively stability, will give way new, more nuanced approaches. A parallel path to learning metrics. One of the challenges for L&D is that the useful outcome metrics are not ‘owned’ by them. These are stakeholder metrics not ‘learning metrics’. If we want to determine the effectiveness of a leadership development programme the metrics we should be using will be linked to leadership performance – customer satisfaction, employee engagement levels, organisational profitability for instance. If we want to measure the impact and effectiveness of a functional training course the metrics we should be using are whether productivity increases, first-time error rate decreases, customer satisfaction rises, quality improves and so on. If we want to measure the benefits from establishing a community for a specific function or around a specific topic the metrics we should be using will be linked to similar outputs – productivity increases, increase in customer satisfaction etc. Also we should be measuring improvements in collegiate problem-solving, cross-department collaboration and co-operation and similar outputs in the ‘working smarter together’ dimension. These metrics need to be agreed between the key stakeholders and the L&D leaders before any structured learning and development activities are started. Without knowing and aligning with stakeholder expectations any structured development is just a ‘'shot in the dark’. L&D also needs to consult with its stakeholder on how to obtain these metrics. Some data may be readily available. Customer-facing departments, for example, will regularly collect CSAT (Customer Satisfaction) data. There are a number of standard methodologies to do this. Sales teams will inevitably have various measures in place to collect and analyse sales data. Technical and Finance teams will have a wealth of performance data they use. Other data will be available from HR processes – annual performance reviews, 360 feedback surveys etc. These are the metrics that will provide useful insights into the effectiveness and impact of development activities managed by the L&D department. 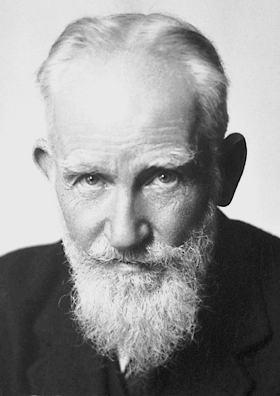 Returning to George Bernard Shaw, one of the challenges of effective measurement is the need to review the metrics needed for each specific instance. No two situations are identical, so no two approaches to measuring impact are likely to be identical. Or, at least, we need to check whether our metrics are appropriate for each measurement we undertake. As Robert Brinkerhoff says, “There is no uniform set of metrics suitable for everyone”. Brinkerhoff’s Success Case Method addresses systems impact rather than trying to isolate the impact of learning individually as the more simplistic Kirkpatrick approach attempts. Brinkerhoff’s approach moves us from input metrics to stakeholder metrics – certainly on the right road. What is also required in defining and agreeing metrics that will be useful for each and every project is a process of engagement with stakeholders and performance consulting by learning professionals. These approaches require a new way of thinking about measurement and new skill for many L&D professionals but, like Shaw’s tailor, we need to ‘behave sensibly’ and stop wasting our time on trying to ‘tweak’ the old methods of measurement. Learning, and measurement, are both becoming indistinguishable from working. A common finding that has emerged from study after study over the past few years is that learning which is embedded in work seems to be more effective than learning away from work. If people learn as part of the workflow then this learning is more likely to impact performance in a positive way. An earlier study 2003 by the Corporate Leadership Council identified 15 leader-led activities that improve performance and found that learning through workplace experience was at least three times more effective than simply ensuring that workers had the necessary knowledge and skills to do their jobs. There are many other studies with similar findings, and more being published on a regular basis. These findings are not at all surprising. As long ago as 1885 Dr Hermann Ebbinghaus published his treatise Über das Gedächtnis (On Memory) that suggested context was critical for effective learning. Although Ebbinghaus’ experimental research was limited, his theory and results indicated that context and the spacing effect are key contributors to effective retention, learning and performance improvement. It could be argued that context is best provided by embedding learning in work. Recent brain science work is filling in the gaps and we now know a lot more about the way the brain modifies itself in the light of experience and both the neural and behavioural differences between people who approach learning with ‘open’ or ‘fixed’ mindsets. The work by Carol Dweck, a professor of psychology at Stanford University, has enhanced our understanding about learning, context and mindset considerably. Dweck’s research suggests that experience and practice combined with a growth mindset are critical ingredients for effective learning and development. Each of these is more powerfully experienced in the context of the workflow rather in the more sterile atmosphere of a classroom. One of the major challenges is the fact that until recently L&D professionals have seen their primary role as instructional designers and creators of learning content and experiences where this content and these learning experiences are separate from work. ADDIE (or some other instructional design approach) ruled. The learning needed to be designed, managed and measured. Of course some effective learning experiences can be designed, managed and measured, but they tend to be in the minority. The majority of learning occurs naturally as part of the workflow. This type of learning is ‘designed’ by the individual (sometimes with input from their manager), it is self-managed, and the measurement is in terms of outputs – not by passing a test or some form of certification but by demonstrating the ability to do work better, faster, more accurately, with greater agility and levels of innovation if needed. The challenge for L&D professionals is to develop ways to support, encourage and facilitate these ‘90’ types of learning (through the 70:20:10 lens) that occur as part of the daily workflow. This learning can’t be ‘managed’ by HR, L&D or by any of the processes and technology systems they put in place. It can, however, be supported, facilitated, encouraged, exposed and shared by HR and L&D with the outcome of improving not only individual performance, but team and organisational performance as well. A second significant challenge (and blind spot for many L&D departments) has been the provision performance support. The lack of understanding and failure to use performance support approaches and tools has created a significant barrier for supporting the learning that is embedded in work. Performance support is a sleeping giant that has only recently been nervously prodded by some L&D departments, despite the fact that ePSS has been around for at least 25 years, and other non-technology supported performance support approaches for eons. Gloria Gery published her seminal ‘Electronic Performance Support Systems’ book in 1991, yet these powerful systems and approaches have only marginally entered L&D’s mindset. This will no doubt change in one respect as the ‘rise and rise’ of social learning further impinges on organisational learning cultures and people turn to online communities and expert location tools to help them improve their work and to learn more effectively in the workplace. Together with ‘point-of-need’ performance support solutions (Bob Mosher and Conrad Gottfredson at ApplySynergies are doing a great job on this, as are companies such as Australian organisation Panviva and others in Europe) the whole gamut of performance support opportunities are an open goal if only L&D can evolve from ‘course’ to ‘resource’ thinking. A final challenge facing many L&D professionals is that embedding learning in work almost always requires the active support of executives, business managers and team leaders. This means L&D needs to engage these groups and work closely with them. This inevitably requires the provision of a clear set of business imperatives for embedding learning in work delivered in a way that is meaningful and compelling to these busy stakeholders. L&D professionals need to step up to the plate with their consulting and interpersonal skills if they are to enrol the critical support from these groups. This can be a big challenge but it is one where success is critical if learning is to be effectively embedded in the workflow. At the other end of the continuum are those that believe their success, and the success of others, comes from hard work, learning, and persistence. These people are defined as having ‘growth mindsets’ or incremental theories of intelligence. This is an interesting theory, but so what? 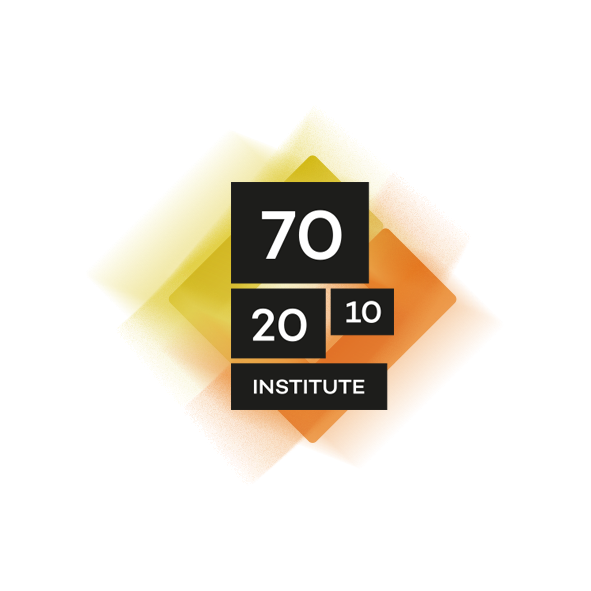 70:20:10 provides a clear and simple approach to extending the support of learning and development for all workers - from individual contributors to senior leaders - beyond the services traditionally delivered by the HR and Training/L&D departments. Ignore the specific numbers (it’s just so obvious they are simply helpful indicators to remind us how people learn at work, not some rigid formula to be aimed at or adhered to). Focus on putting into place the support and processes that help embedding, extracting and sharing learning as part of the workflow. A Revolution or a Slow Demise? If learning professionals and learning departments don’t adapt and change, Quinn argues, they will be revealed not simply as having no clothes, but as being so out of step that they will wither and die, or be removed from the value chain. The evidence seems to strongly support Quinn’s arguments. One piece of aligning data comes from the Corporate Executive Board’s 2012 study ‘Building High Performance Capability for the New Work Environment’. This study sampled 35,000 managers and employees across the globe. Part of its focus was examining the links between stakeholder expectations, current practices and results delivered by L&D, and steps toward adapting to the needs of the ‘new work environment’. The startling findings of this CEB study were that in order to achieve breakthrough employee performance and achieve their short-term business goals (goals for the next 12 months) stakeholders reported they required an average improvement of around 20-25%. Business leaders stated they required a 20% improvement in employee performance to achieve their goals, managers needed to see the performance of their teams rise by 22%, and HR leaders believed that their workforces needed to improve by 25% to achieve business goals. At the same time the study found that simply improving existing practices in the delivery of classroom training will yield only limited gains. The major reason for this is that by-and-large classroom training techniques have become more efficient over the years (we’ve been at it for a long time) and only marginal further improvements are possible. Fig: From Corporate Executive Board’s ‘Building High Performance Capability for the New Work Environment’ study, October 2012. Data from CLC Learning and Development High Performance Survey: CLC Training Effectiveness Dashboard. Used with permission. The simple conclusion CEB draws from this study is that ‘current course and speed won’t get us there’. However there’s a sting in the tail, too. An earlier piece of Corporate Leadership Council research, L&D Team Capabilities Survey (2011), found that although participants and their managers report high levels of satisfaction on individual learning interventions, their feedback on the performance of the L&D function as a whole was extremely low. Clearly there is a huge gap between what stakeholders need from their L&D departments and what is currently being delivered. The imperative is clear, but are L&D leaders and professionals stepping up to address it? Clark Quinn and I would both argue that there is some good practice and some emerging practice being demonstrated which can close these gaps and transform the learning function into an effective organisational lever. But we need wider fundamental changes if we’re to do so at speed and scale. So, what are these fundamental changes? I believe we can learn some lessons of where we are and where we need to be as HR and L&D professionals, or as anyone who has responsibility for workforce development and performance, by looking back at how we have adapted our ideas and practices around the concept of time. It might seem a strange analogy but I think it fits well to the current challenge. Measuring Time by Observation For millennia people measured time based on the position of the sun. When the sun was directly overhead it was noon. That was the only way to know and that was the way time was calculated. The concept of hours and minutes wasn’t needed or used. This was a bit like the one-trick classroom pony that has been used for many years. Training was seen as the only solution to performance problems. If training didn’t work, then we trained them again – and again. Sundials and Water Clocks As technologies such as sundials and water clocks evolved to allow us to measure time more accurately and efficiently we adopted them. This was little like the uptake of online courses and eLearning. We found that we could reach more people using fewer resources, faster. However, we were still using the same mindset and thinking of solutions as being ‘courses and programmes’. Learning by physically or mentally taking people away from the workplace. Mechanical Clocks By the Middle Ages sundials and other approaches based on natural ‘tools’ had been replaced by the the mechanical clock. Each city had its mechanical clock which was set by the angle of the sun at noon. However every city had its own, unique time zone. The photograph above is of the instrumentation on an external wall of the Guildhall in Winchester, the city where I live. Winchester is one degree 19 minutes west of Greenwich, the point designated as ‘absolute zero’ in terms of longitude. One degree 19 minutes at 15 degrees North computes to roughly 86 miles. So the ‘real time’ at Winchester is 5 minutes 16 seconds behind the time at Greenwich. About 60 miles further west the people of Bristol worked to a time that was a further few minutes later than Winchester. This situation was a bit like the the industry that has arisen over the past 20 years with multiple LMSs and content creation tools and other learning offerings. We were tied into many bespoke systems – there were some standards and reference models to make things slightly easier, but our efforts were were still stuck on point-solutions. We produced smarter modules and courses, better learning pathways, or integrated new technologies but the overall outcome was to make the learning landscape more complex and full of ‘busy work’. The Disruptive Driver The most significant disruption to our concept of time came not through new time-keeping inventions but through a totally different invention in a totally different domain – the railway network. In 1840 the Great Western Railway in England (running from London to Bristol and further west into Devon and Cornwall) applied a standard railway time across its network, based on London Time (or Greenwich Mean Time). “The key purpose behind introducing railway time was twofold: to overcome the confusion caused by having non-uniform local times in each town and station stop along the expanding railway network and to reduce the incidence of accidents and near misses, which were becoming more frequent as the number of train journeys increased. There was undoubtedly opposition to this new disruptive approach to an age old issue. Charles Dickens was one who expressed concerns. In Dombey and Son he wrote "There was even railway time observed in clocks, as if the sun itself had given in." However, despite concerns and opposition, railway time was rapidly adopted across the world. A train crash in New England in the USA in 1853 caused by the guards having different times on their watches was just one of many accidents and mishaps that made it obvious that a new order was needed. Our approaches to learning are being confronted by not just one external disruptive driver, but by many. Change is occurring at an increasingly rapid rate. Taking people away from the workplace to train them in order to keep up and do their jobs better is becoming a less viable option by the day. Increasing complexity and reliance on tacit knowledge means that ‘extracting’ knowledge and codifying it into modules and courses is not only becoming more difficult, but often slows speed to capability. Daily pressures make it less-and-less likely that people can take time away from their work to attend a course. Although it is important to have time for reflective practice and sharing with others most structured training and development courses are built around content, not conversations, sharing and reflection. Evidence suggests that most mistakes are due to errors of ineptitude (mistakes we make because we don’t make proper use of what we know) rather than errors of ignorance (mistakes we make because we don’t know enough). Yet most approaches to learning assume the opposite is the case. The rise and rise of social medial and technologies has opened up opportunities for people to access help and support from across wider networks in almost real-time. We don’t need to ‘know’ the minutiae if we know where to find it, or who can help us. This challenges many assumptions of our current learning approaches. There are many other disruptors confronting existing models and practices used by L&D departments and their learning providers. The point is, like the impact of the railway on timekeeping there is an urgent need to adapt. The old must give way to the new. Carrying on regardless is not an option. But many are still doing just that, or focusing on incremental changes only. But everything has changed, and no change in response is simply not an option. On a positive note there are many things that L&D departments and their organisations can do to change and adapt, but they must move fast. Adopting Dr Quinn’s performance augmentation mindset, and a range of practices that will support it, is a very good start.